Easy-to-Use, Smart Safety and Security Solution Leverages AI and Machine Learning to Rewrite Security Standards for Every Campus or Corporate Environment. Global Net Solutions (GNS), today unveiled its S-Badge, a revolutionary IoT-based security solution designed to improve safety and tackle insider threats and breaches in high security environments, such as airports, hospitals, school districts and college campuses, government agencies and more. 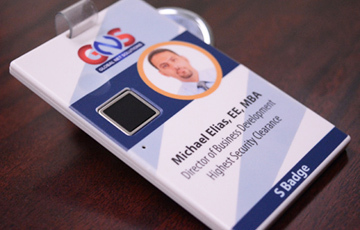 The S-Badge solution is the world’s first security system leveraging a multi-sensor Bluetooth low energy beacon, multiple data sensors and High Frequency RFID technology to track people, property and assets with location monitoring in indoor and outdoor settings. Each badge is individually customized with a printed photo ID on a scratch-proof and water-resistant beveled surface. Unlike other systems, the S-Badge leverages the latest IoT technology, artificial intelligence (AI) and machine learning to enhance security and unlock an entirely new range of functionality and data that go far beyond today’s standards. The proprietary, turn-key solution utilizes an innovative system of on-site LoRa gateways and a battery-smart, all-in-one authentication badge that verifies a user’s identity based on location, a biometric signature and a preprogrammed NFC chip. The S-Badge also features a panic button to discreetly signal an emergency, along with the badge’s location. “We’re living in a time when security and privacy have never been more important, yet no company is tracking people once they’re in the door,” said Michael Elias, director of business development, Global Net Solutions. To further enhance security, the S-Badge utilizes advanced AI and machine learning to create a prediction model, which can help identify threats in real time based on past behavior and location data. When the prediction model recognizes unusual behavior – like spending too much time in a restricted area – the system can send an alert to security to notify a potential problem. Advanced features, like location monitoring, the emergency distress signal and machine learning prediction modeling capabilities, are powered by the stationary gateways throughout a structure or site that communicate with the S-Badge. 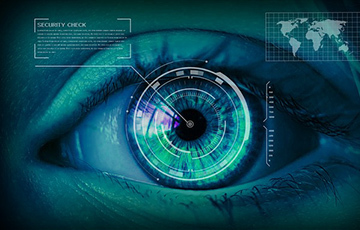 This is an ideal method for protecting an individual’s privacy – as the badge cannot be tracked off site – but still enables data and business insights that can increase employee productivity, improve the customer experience and further enhance safety and security.